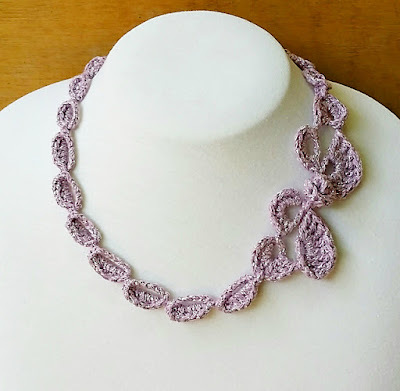 Stitch Story: The Flor Necklace for Interweave Crochet Summer 2016! 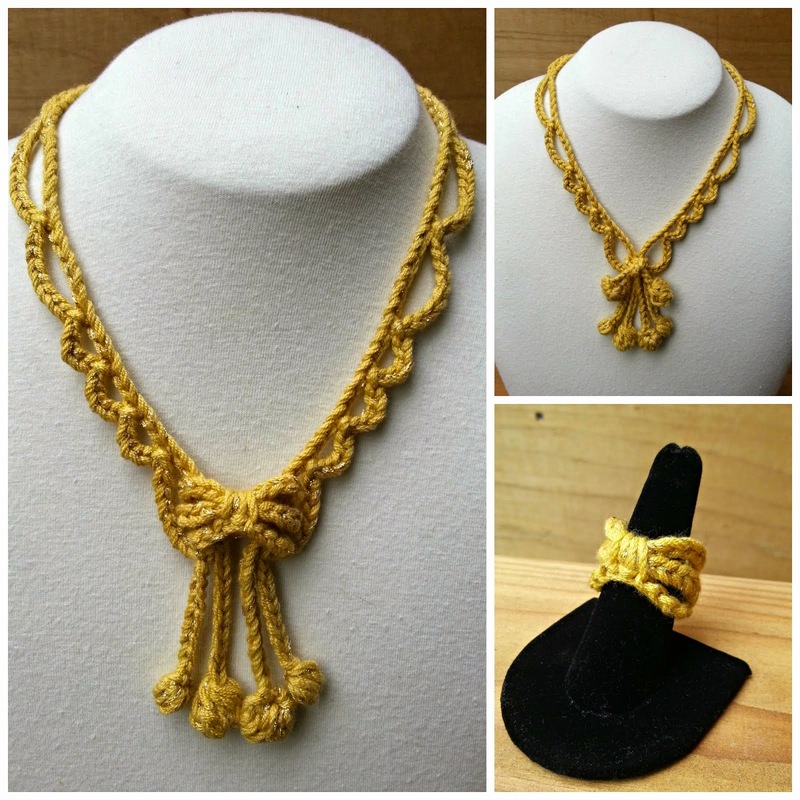 The Flor Necklace for Interweave Crochet Summer 2016! 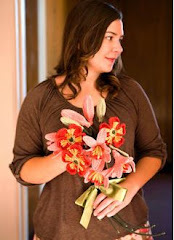 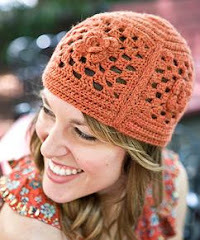 The Summer Issue of Interweave Crochet recently came out, so I can finally talk about my designs! 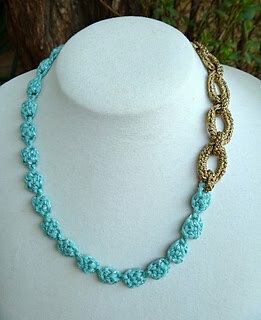 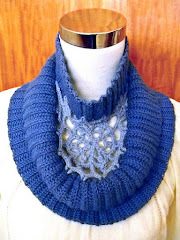 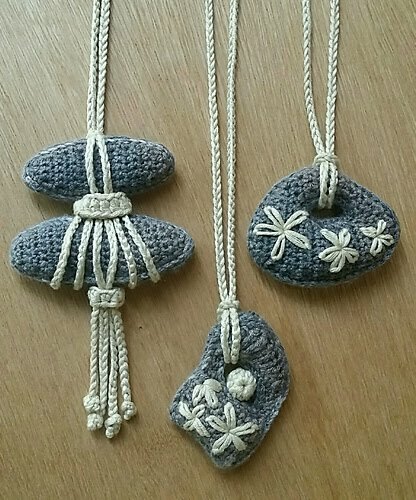 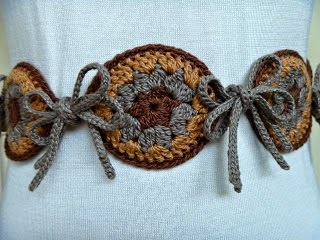 These two necklace versions are based on the same motif crocheted forwards and backwards to create a unique modern crochet look. 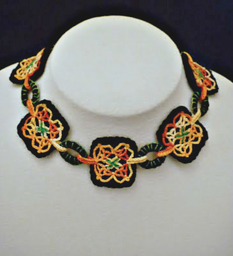 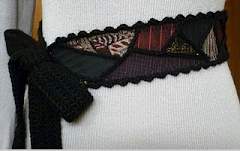 The top version has two sets of two motifs joined together, and the bottom version has 2 motifs joined together with an asymmetrical graduated chain. 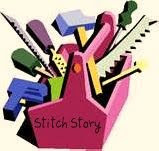 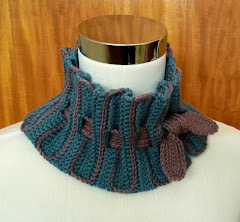 Many of my designs are not planned out before I pick up my hook! 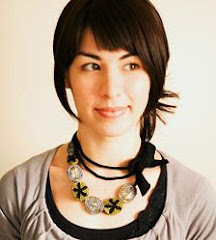 The Flor Necklace design is one of those designs! 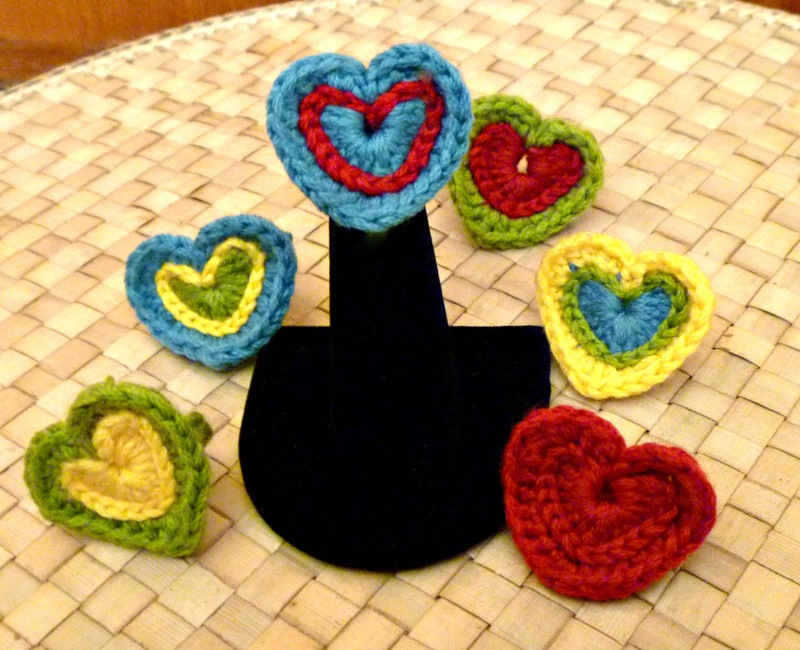 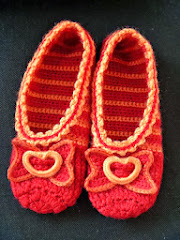 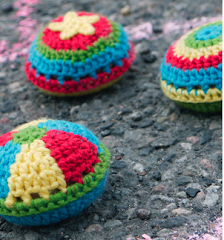 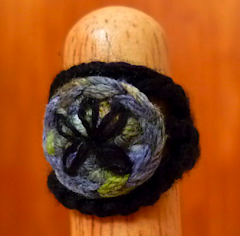 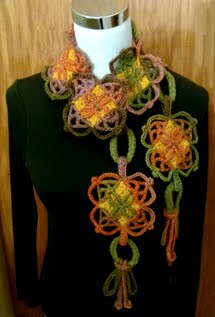 I first crocheted a few of the motifs, not knowing exactly what I would do with them. 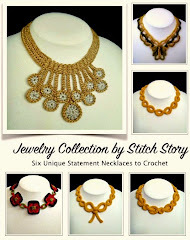 I got out my necklace form and started pinning them in different ways. 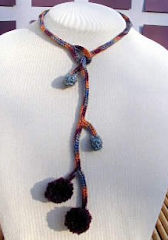 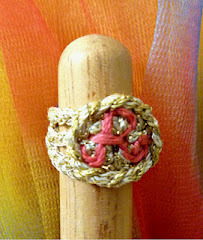 Then I decided to join them by pulling one through another, which creates a small knot effect. 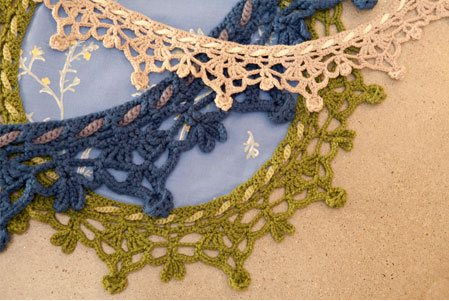 I couldn't decide which version I liked better- the version with 2 or the version with 4 motifs joined together, so I submitted them both, thinking that the editors at Interweave Crochet would choose one of them. 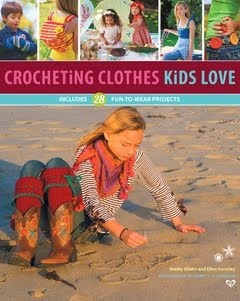 Imagine how thrilled I was when they told me they would like to publish both versions! 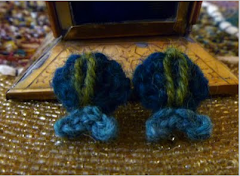 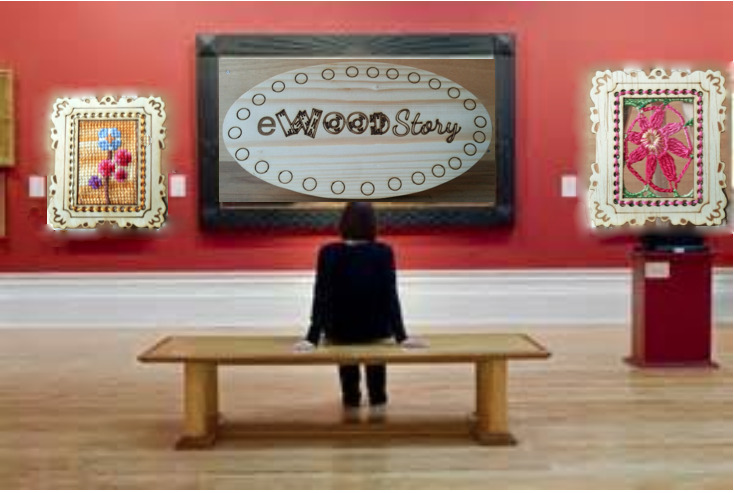 Once you have made one version, the other is just a very slight variation. 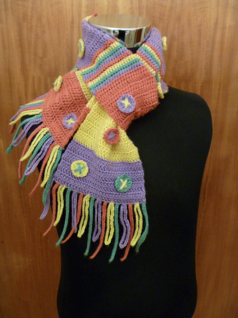 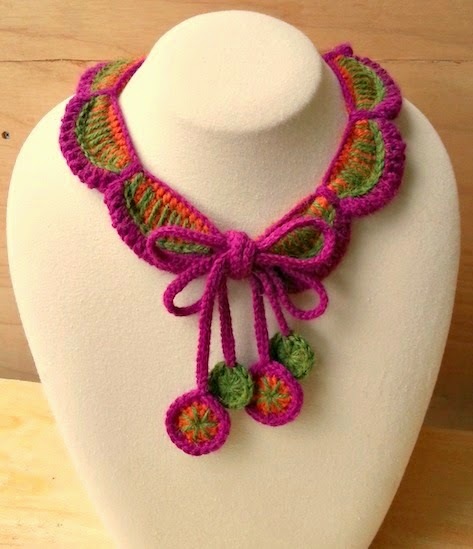 Both necklaces fasten at the back with a crocheted bobble that goes through a loop, so there are no supplies to buy. 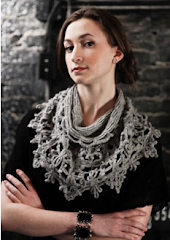 It takes very little yarn to make one, so you may have just the perfect yarn already in your stash! 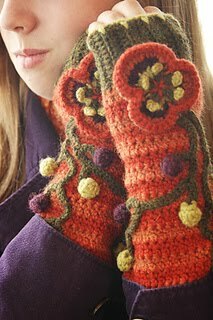 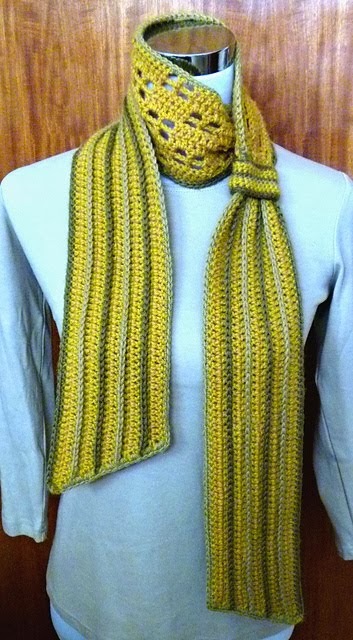 I hope to see lots of projects on Ravelry! 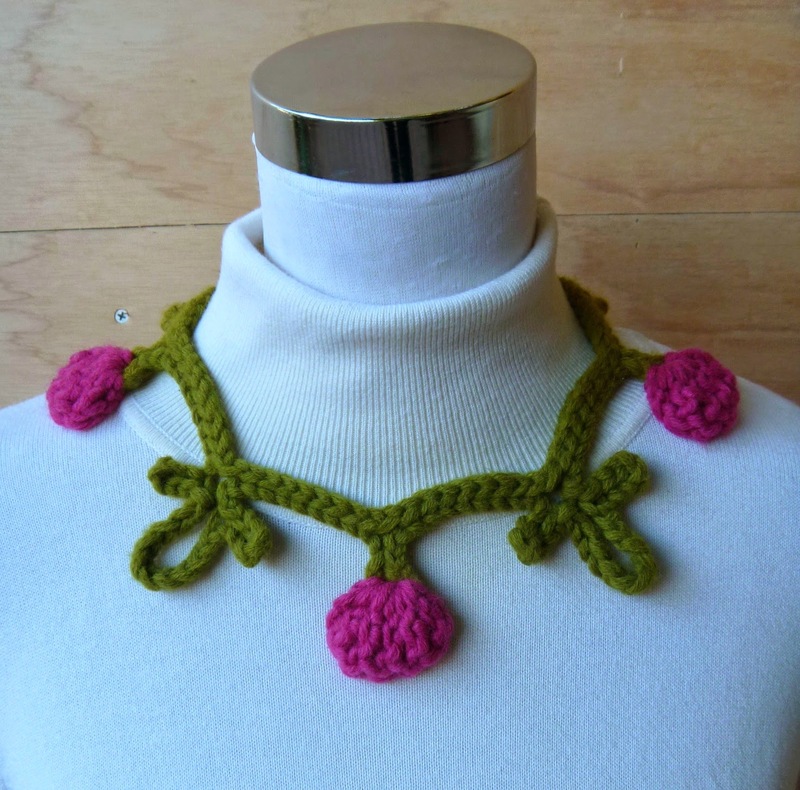 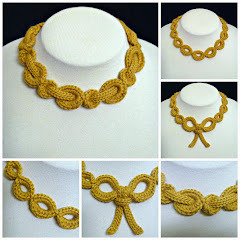 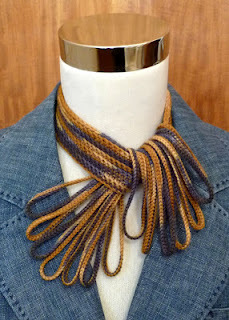 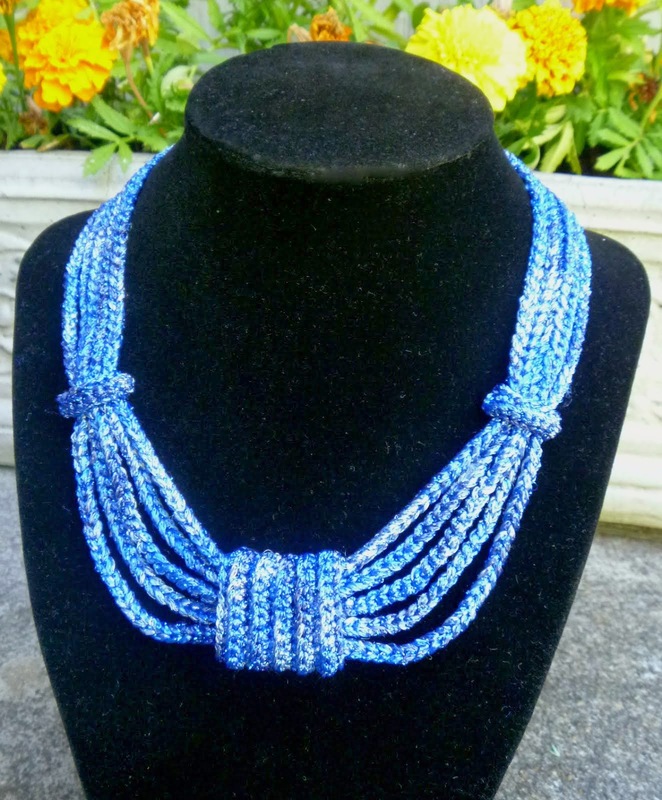 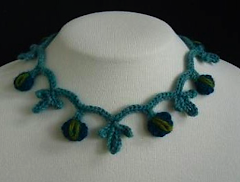 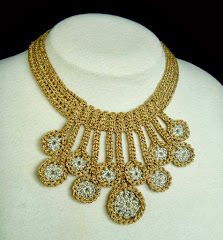 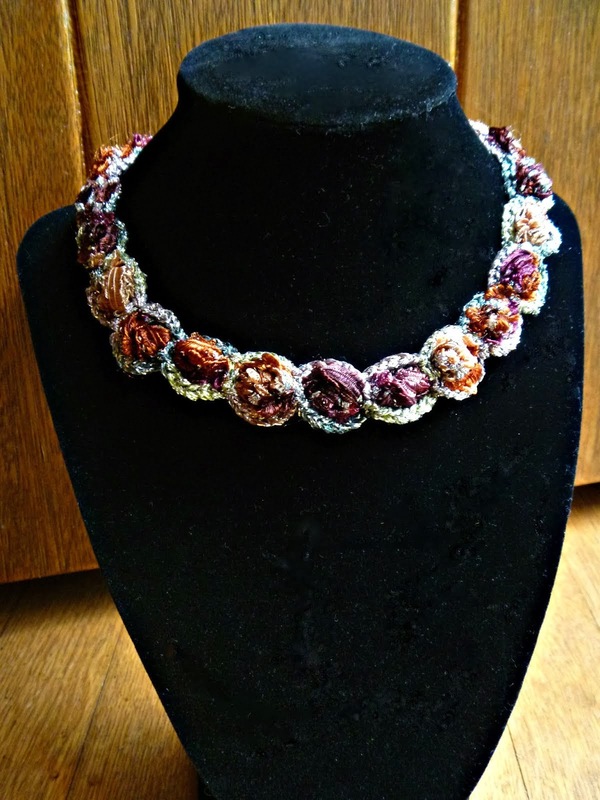 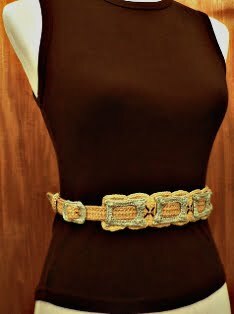 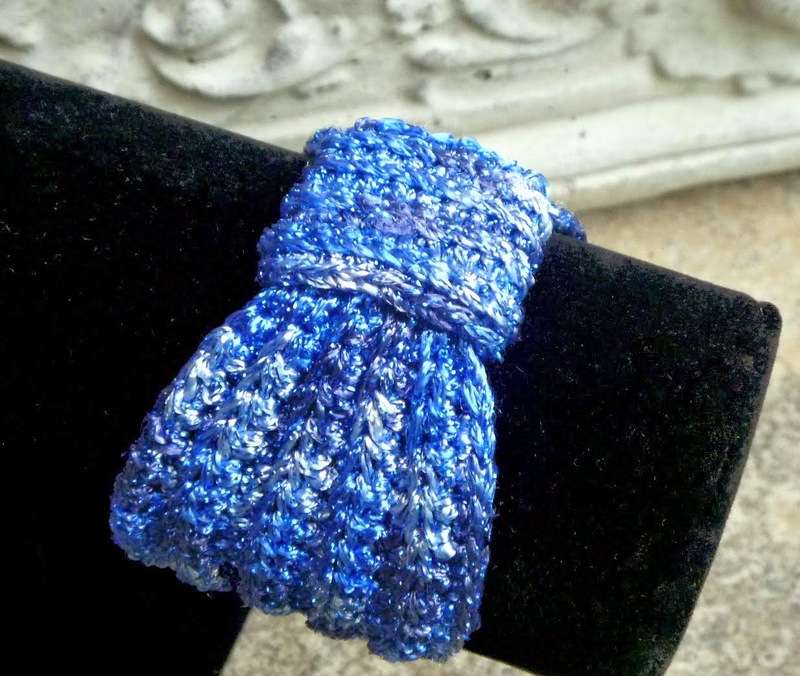 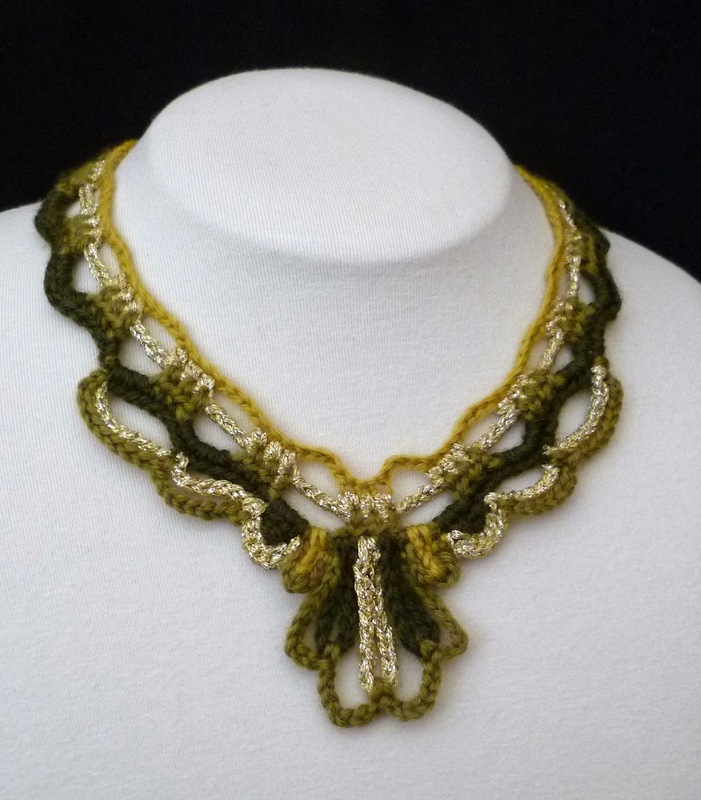 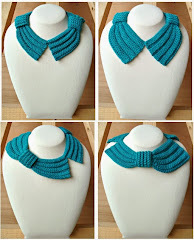 I can imagine many ways to crochet this necklace. 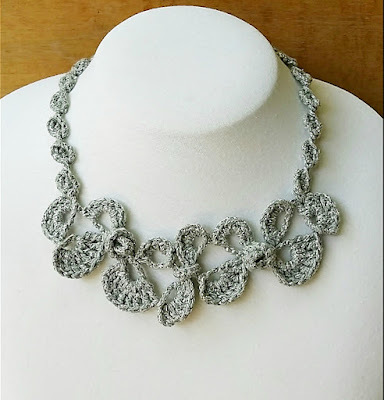 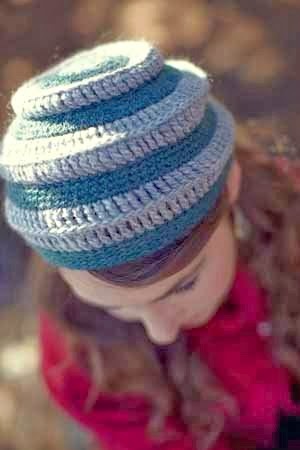 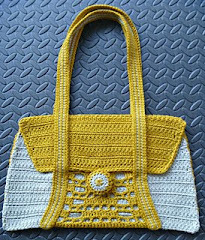 It could be really amazing in just the right type of variegated yarn, or you could make the motifs different colors, which would give you a really different look! 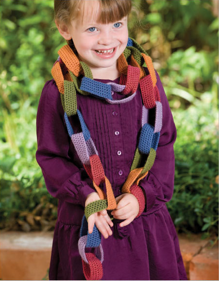 In addition to the patterns being available in the magazine, you can also purchase patterns from this issue individually from the Interweave online store! 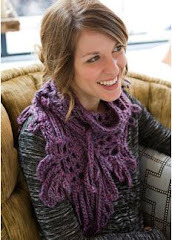 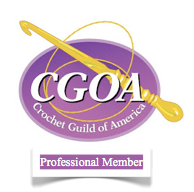 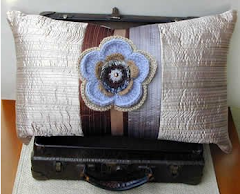 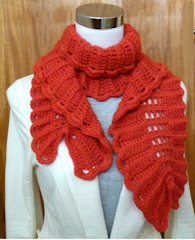 Vintage Modern Crochet Blog Tour and Giveaway!